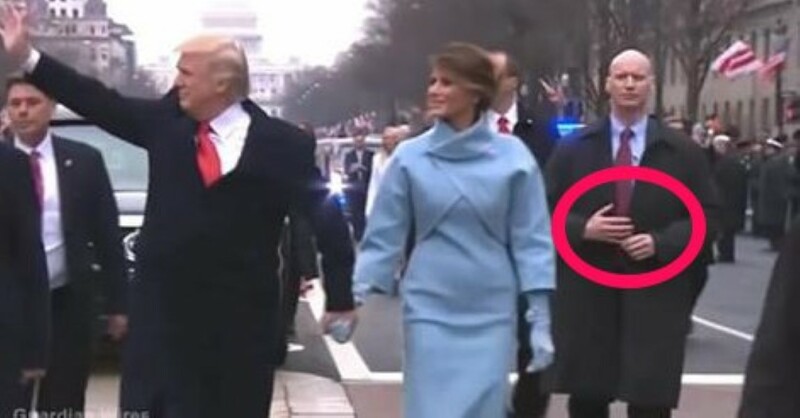 Did Trump’s Bodyguard Wear ‘Fake Hands’ To Hide Assault Rifle Under His Jacket? During President Trump‘s walk down Pennsylvania Avenue the other day whilst enjoying his inauguration, a weird thing happened. 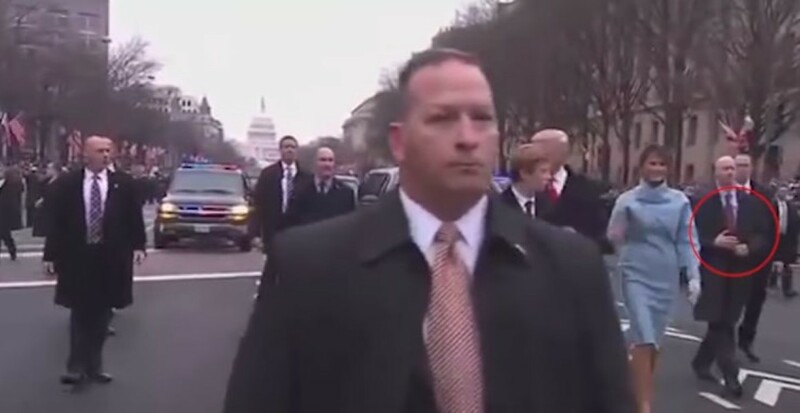 One of his Secret Service bodyguards was seen looking slightly odd. What was it about him? Well, it was his hands. Were they… FAKE HANDS?! It sounds odd, but the internet is in meltdown at the moment over it. The unusual appearance of the hands and distinct lack of movement has led many to believe that the man was holding a gun and was using plastic hands to give the impression that he wasn’t armed to the teeth. They certainly look odd, but there’s a glimpse towards the end of the clip that make it appear as if he’s moving his hands and fingers. San Francisco Cops Show Off Their Awesome Quad Bikes That Turn Into Jet Skis! Famous Soccer Manager Schools Roger Federer With EPIC Trick Shot! Girl Passing Out On Slingshot Ride Is The Funniest Thing You’ll See Today! The Little Flower Girl Ran Down The Aisle In a Panic? Why…? PRICELESS!